Survivors of Glenda Davis, age 31, mother of two, said that she underwent a safe and legal abortion performed by Robert Hanson at Aaron Family Planning March 11, 1989. 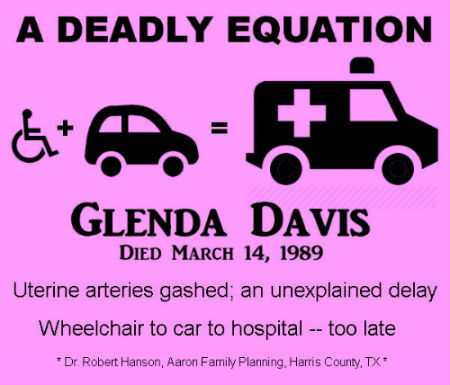 During the abortion, Glenda suffered a 1.5 - 2 inch long wound to her uterine artery and vein complex, causing massive bleeding. After a delay, staffers decided to transfer Glenda to the hospital. Glenda's husband discovered staffers attempting unsuccessfully to transfer Glenda from a wheelchair to a staffer's car. He helped them get Glenda into the car. With the IV still in her arm, Glenda was driven to HCA Memorial Hospital. She had no blood pressure and almost no pulse upon arrival. Glenda fell into a coma, and died three days later. The family's attorney said, "Prior to the aforementioned breaches and negligence of these Defendants, Glenda H. Davis was a happy and healthy woman. ... [Glenda's children] have suffered and will continue to suffer from the great loss of the care, ...guidance, protection, ... love, affection, solace, comfort, companionship, society and assistance from their mother. [The children] experienced the horror of watching the devastation of their mother's condition on a day to day basis. This horror was further complicated by their having to deal with the anguish of missing the love and attention of their mother. They were too young to understand what and why this had happened. They could only feel abandoned. ... Their family has been destroyed and the loving parent-child relationship they once had has been forever terminated." 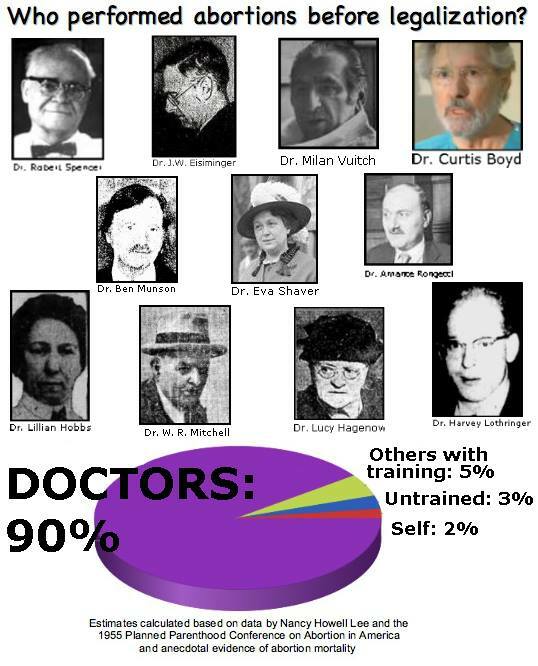 Did Dr. Lucas Kill Alberta Beard? On March 14, 1930, Alberta Beard, age 29, died at the office of Dr. Davis Lucas from an abortion performed there that day. Lucas was arrested on May 24, on recommendation of the coroner. Lucas was indicted for felony murder in Alberta's death on August 7. I have been unable to determine the final outcome of the case.